El Carmen, Province of Chincha, Department of Ica, is one of the few Afro-Peruvian communities in Peru, with approximately 8,000 people. On August of 2007, a devastating earthquake hit this community leaving 50% of their adobe homes destroyed. With the help of different organizations, many houses have been rebuilt with brick but many people moved away or still live in whatever is left of their homes. I wanted to help this community by teaching their children photography, hoping to capture everyday life through their eyes and thereby reaffirming their cultural identity. 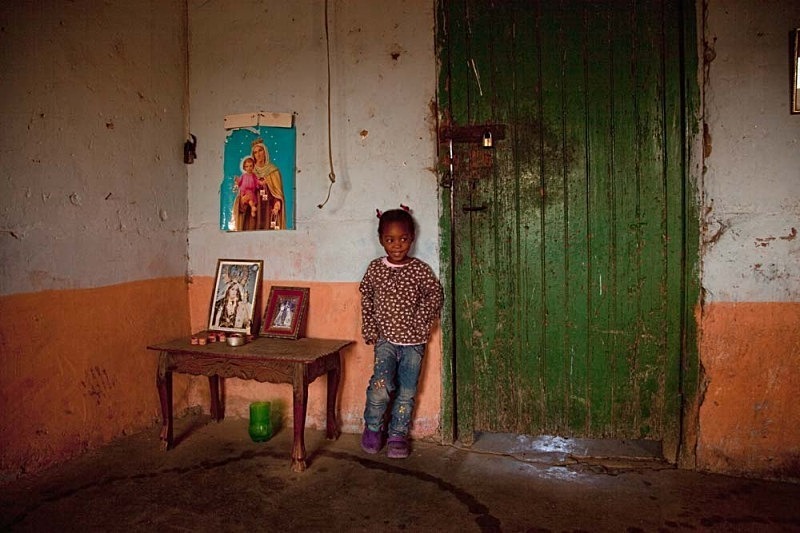 I was lucky to not only teach photography to these children but also to live at the Ballumbrosio’s home in El Carmen. The Ballumbrosios have lived here for over five generations. This family of musicians, dancers and chefs is also known worldwide for being the strength of the cultural identity of El Carmen. I continue to capture and document life in El Carmen and the continuing struggle to maintain old traditions following the earthquake of 2007.